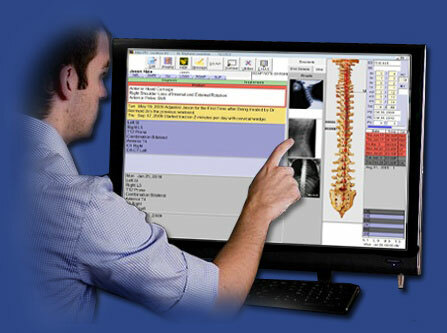 Atlas Chiropractic Systems software is designed to run on a variety of network configurations and computer setups. We have more options available, below are a few options. We like to discuss the individual office or corporate need and design a plan with your IT team. This setup is recommended only for small offices with less than 9 computers. A peer to peer network is one where all computers operate on a desktop Operating System. For the Atlas installation, one computer (usually the Front Desk computer) will hold the Main Database and be used for other daily tasks such as email, word processing, etc. This setup is recommended only for larger offices with more than 9 computers, multiple providers or offices expecting to expand past 9 computers in the near future. In a Server / Client network, a main computer (the Server) handles all the data. This computer isn?t normally used for daily tasks (word processing, email, etc). Atlas strongly recommends utilizing a dedicated Server in your office. Atlas also supports the use of Thin Client or ?dummy terminals?. Touch screen computers can be used in place of standard computers at the Adjusting Tables and/or Exam Rooms. This technology replaces standard keyboard and mouse input with touch screen options. A properly configured network is important. Right from the onset, Atlas recommends working closely with an IT Professional to install, upgrade and maintain your network/computer infrastructure. Our Support Team is always ready to answer questions from your IT Team. We will work closely with you and your Team to ensure the best possible experience with Atlas.